There's nothing like eating fresh fruit - biting into a crisp tart apple or a juicy, dripping watermelon slice, or a soft fuzzy peach. Fruit tastes good and fruit is good for you, no doubt, but did you know that fruits contain very different amounts of sugar in each of them? That tart apple may have far more sugar than that fuzzy peach. 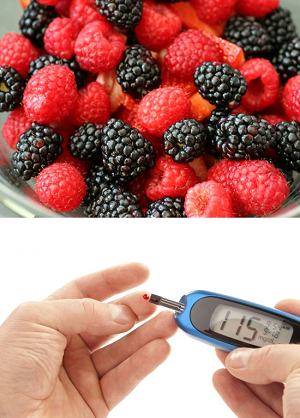 Living with Type 2 diabetes, it's important to be aware of your overall sugar intake. Generally speaking, whole fresh produce - including all fruits, is a great addition to most diabetic meal plans, but that doesn't mean you should be eating bunches of sugary bananas or bags of sweet cherries every day. so you've got no reason not to eat them on a regular basis. Data is collected by the USDA and reflects the sugar content within a 100-gram serving of each fruit. Avocado: less than 1 gram. Yes, the avocado is actually a fruit, not a vegetable! This buttery, creamy fruit is full of fiber and healthy fats, and it's perfect for sweet and savory dishes. Slice ½ an avocado and serve over eggs for a lean protein breakfast, or add a few slices to a corn tortilla taco. For dessert, puree ½ an avocado with frozen fruits for a naturally sweet shake. Raspberries: 4.4 grams. Raspberries are the perfect sweet-tart berry. Add them to a whole grain baking mix for delightful cornbread, muffin, and cupcake recipes. Or add them to spinach and leafy green salads, along with a sprinkling of almonds. Blackberries: 4.5 grams. Blackberries are tart, juicy, and full of flavor. They're great mixed with yogurt, granola, or stirred into cooked oatmeal. Try a great topping for roasted meats and fish: sauté a handful of blackberries with honey and olive oil, then pour the sauce over your meat. Strawberries: 4.7 grams. 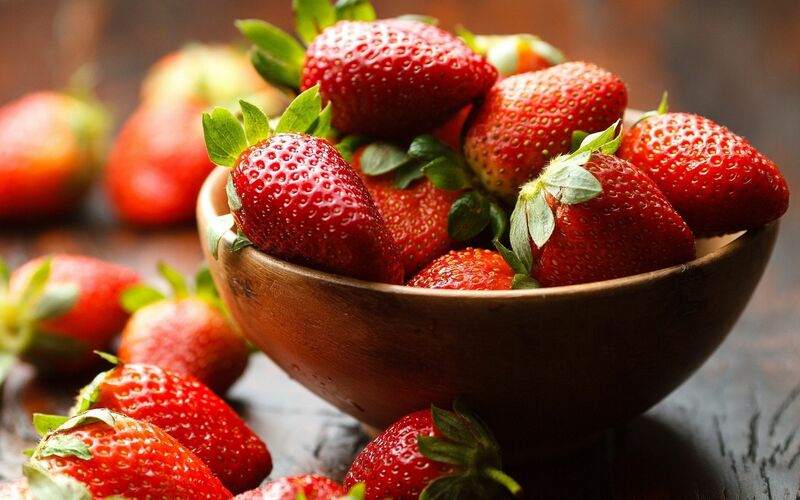 Strawberries need no introduction. Serve them over cereal, spooned into yogurt, and topped with homemade whipped cream for dessert. Or gently mash a bowl of berries with balsamic vinegar, and top with mascarpone cheese for a fancy, sugar-free dessert. Watermelon: 6.2 grams. Watermelon is probably best enjoyed as simple slices, but it's also great stirred into cottage cheese. Watermelon also makes one fantastic fresh lemonade: just puree fresh watermelon cubes with fresh lemon juice, adding a small bit of sugar if desired - strain and serve. Cantaloupe: 7 grams. 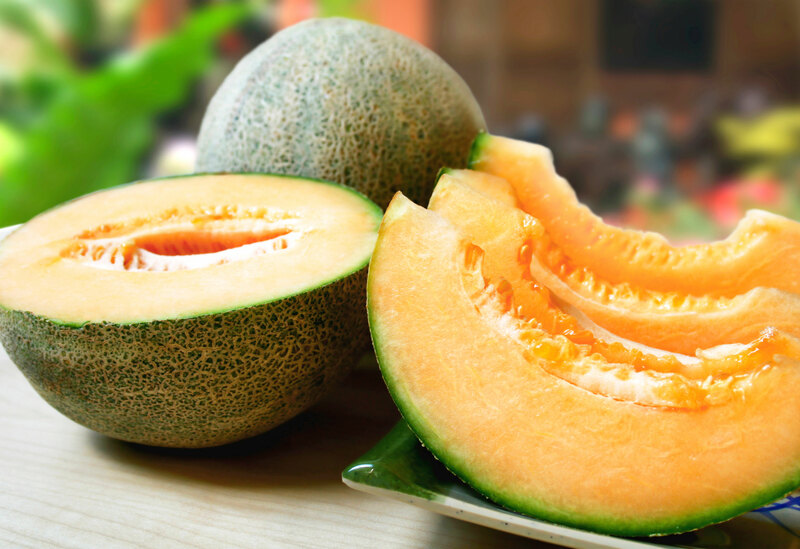 Like watermelon, cantaloupe is great eaten whole. But for a great appetizer or snack, serve small cubes with thinly sliced prosciutto and a sprinkling of feta cheese. The USDA recommends you eat 5 to 8 servings of fresh fruits and vegetables each day - which can seem like an overwhelming number. But realistically, a serving of fruit is about half-a-cup, so you can hit your daily goal by adding a handful of berries to your yogurt, chopped strawberries to your cereal, or a slice of watermelon with cottage cheese for dessert. It all adds up in a healthy, delicious way. Type 2 diabetes is not a condition you must just live with. By making simple changes to your daily routine, its possible to protect your heart, kidneys, eyes and limbs from the damage often caused by high blood sugar and eliminate many of the complications you may already experience.